Security padlocks have many uses in today's mailrooms, offices and mail centers. 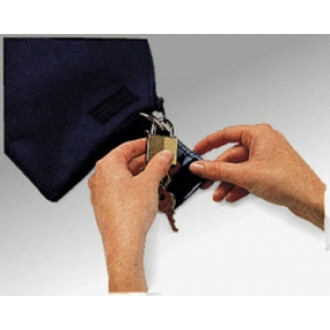 Use to protect valuable documents - when you combine each security padlock with our security/courier mailbags or use along with our rope cinch to keep mailbags closed securely when loading. Our durable security padlock has a metal security loop and two keys (each lock is keyed differently). For keyed alike medium security padlock see part number 1181. 26, 26N, 38, 38N (cinch only 25LK). 2912, 2916, 2918, 2922, 2926, 2928, 2942, 2946, 2948. 42, 45, 71, 72,73, 84, 86, 87, 98, C20, C23.